The impact of a small act of kindness can be life-altering. Imagine being a child in foster care, shuffled from home to home with your belongings in a trash bag. Or an elderly woman living alone with little to eat and no family to help you. This week at The Pollination Project our grantees have found ways to bring small kindnesses into the lives of others. Congratulations to all of our amazing grantees this week. Kindness for Elderly Women in Nairobi, Kenya. Lilian Itenya and Bonnie Etale are the creators of Luxious Deliveries for the Elderly in Nairobi, Kenya. Through this program, Lilian and Bonnie volunteer their time to deliver groceries, newspapers, and household items to elderly women living in Nairobi's Waynee community. In addition to their delivery service, Bonnie and Lilian pledge their time to help recipients of the program access important community services and perform daily tasks. 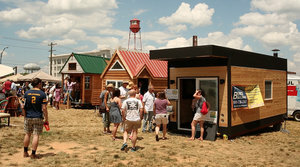 Tiny Houses Across the US. Alexis Stephens and Christian Parsons are trekking across North America in a tiny house on wheels in order to raise awareness about lack of affordable housing in the U.S. 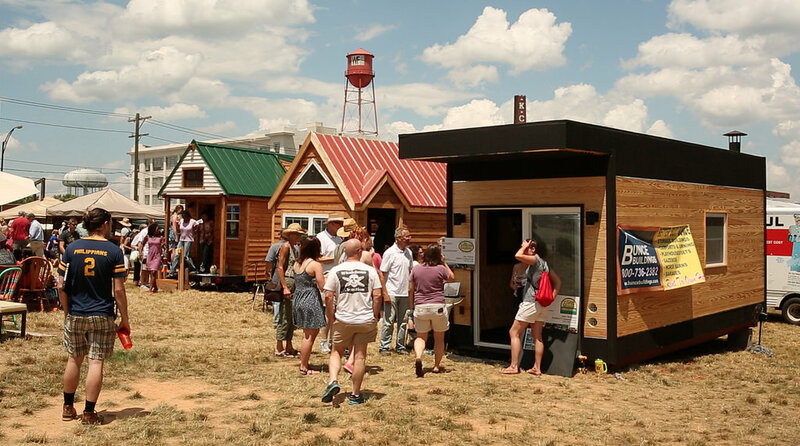 Through the Tiny House Expedition the couple will document over 30 different micro-housing projects in order to educate audiences about the ways in which micro-housing solutions are making a difference in their communities. At each stop, Alexis and Christian plan to share about their own tiny house while gathering the stories of the places they visit, all of which will culminate in a documentary about the expedition. World Peace Diet in French and German. Stefan Gutwin is a French author and vegan activist who is translating Dr. Will Tuttle's influential text The World Peace Diet into French and German. In the book, Dr. Tuttle illustrates that "what we eat has a profound impact on our spirituality and health of our planet." Stefan is working with a local French printing press to print independently-published translations on recycled paper. He plans to distribute the texts throughout both Germany and France. Urban Gardening in Totowa, NJ. April Corbo and Hanelori Reilly are the founders of Sprouting Totowa, a community-based non-profit in Totowa, NJ that organizes community workshops to teach residents and their children self-sufficiency and sustainable urban farming practices. 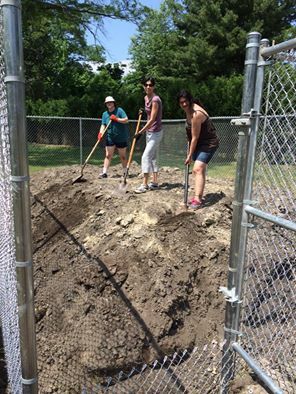 At Sprouting Totowa's newly created community garden, April and Hanelori are growing crops to donate to surrounding food banks and families in need in order to promote a healthy, plant-based diet. A Children's Garden in Chico, CA. After years of exposure to childhood obesity while working with the Chico Community Children's Center (CCCC), Susan McGuire decided to do something to address the issue. Working collaboratively with another TPP grantee, From the Ground Up Farms, Inc., Susan is building a community garden at CCCC's offices where she will hold garden-based education programs for children, offer nutritional education to parents, and provide residents with fresh fruits and vegetables. A Small Kindness for Foster Children in Sarasota, FL. 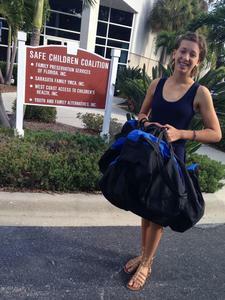 Marguerite Andrich is the creator of Bag Up The Love!, a project that donates new duffel bags to foster children in Sarasota, FL. Commonly, children in foster care receive a trash bag for their personal belongings, to facilitate frequent moves from home to home. The duffel bags are a small way that Marguerite wanted to contribute to bringing dignity and humanity into the lives of these kids. The bags come filled with toiletries, a blanket, a stuffed animal, coloring books, crayons, journals, and colored pens. Bag Up The Love! has partnered with The Safe Children Coalition (SCC), and has already donated 100 bags, with plans to donate another 100 by October. Youth Leadership in Buea, Cameroon. Nelly Shella Tchaptcheut Yonga is a youth leader at the Rural Women Development Center (RUWDEC) in Buea, Cameroon and the organizer of RUWDEC's D'Girls Residential Training Workshop. At this year's 3 day event, RUWDEC will provide 20 young women with intensive training in leadership skills and team-building exercises. Additionally, participants will receive mentorship and material support for the development and implementation of social action projects throughout their communities. Do you know someone who would be a candidate for one of our daily grants? We welcome grant applications from anyone, anywhere, at any time!